Become a master of the kitchen by using this Portable Oven with Rotisserie. 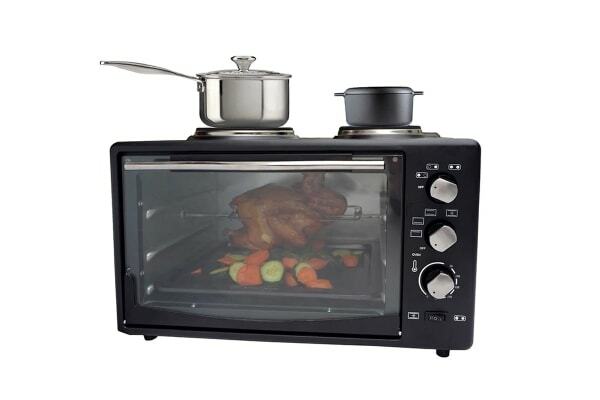 Enjoy the time you spend in the kitchen by using the *Lenoxx Portable Oven with Rotisserie. With two hot plates, three separate heating selectors and a rotisserie rod to choose from, there are infinite ways of getting creative at meal times. 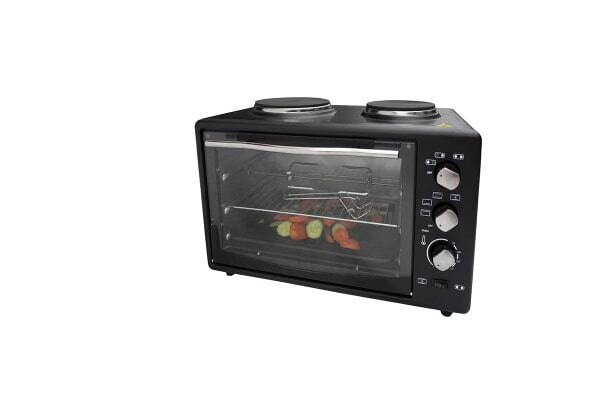 The oven’s power will allow you to cook meals faster than a conventional oven, and with less space to clean you will be enjoying meals in no time.